Here’s a fun deal for lots of great games, activities and toys! Click here to Save up to 30% on Hasbro Games, Play-Doh, and more. Prices start at only $5.17 and there are great options for children of all ages, including Battleship, Clue, Monopoly, Yahtzee and many more! 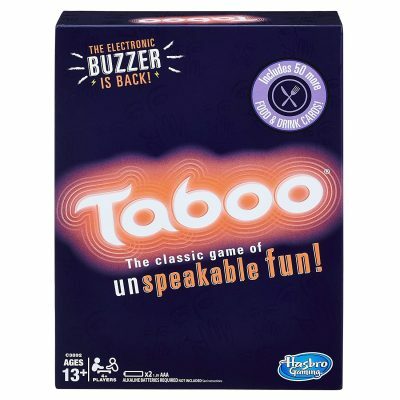 One of my favorites is Taboo, only $13.99 today.